While everyone is scurrying about shopping, celebrating and buying holiday gifts, I want to share a special gift I received recently. This one you can’t put a value on. 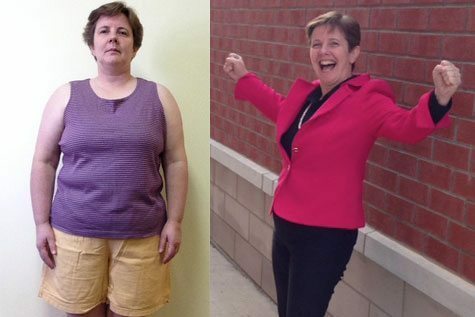 I met a charming woman in Canada at an event and she shared with me her desire to improve her life and some of that improvement was to lose weight – weight she had since childhood. Shortly after the event she decided to gift herself with a better quality of life by improving her health, so she asked me for help. The rest is history. It was on like popcorn after that! Her gift, I am proud to say, is now a reality! See for yourself below. And Oh by the way…the fact that she is happy and her life is better is her gift to me! It inspires me more and drives me forward like a mad woman to do more because I know what that feels like. After just two weeks I couldn’t believe my energy! Thank you Wendy for the impact you’ve had on my life. Having more energy, better digestion, losing 40 lbs. and now having the know how to get back on the horse if I fall off is a wonderful gift to myself. Without your help, I’d still be “pleasantly plump”. I didn’t need a gym membership and was able to workout from my home. I did what Wendy said and I saw the results. It wasn’t hard. It didn’t hurt. I did sweat and it did take will power. I wasn’t always perfect at it and still am not. But mindset is everything. 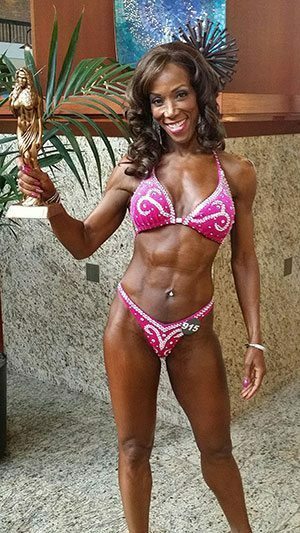 The personal stories from Wendy that helped to develop my winning mindset were golden! 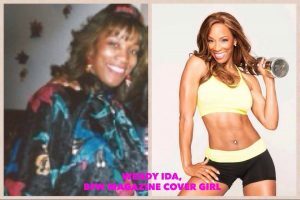 The biggest hurdle for me was the cost, but once I determined that the ability to get fit and stay fit was biggest priority to me at the time and that Wendy was the one that could help me, the rest was easy. After just two weeks of being on Wendy’s program I couldn’t believe the difference in my energy level and in my digestion. 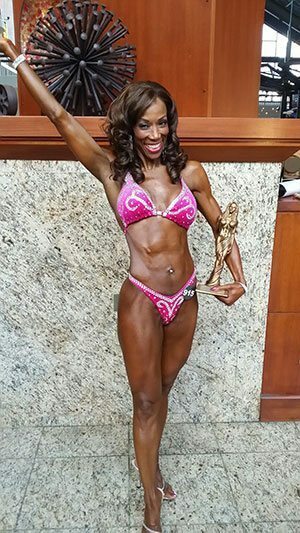 My training with Wendy was long distance as she lives in California and I live in Ontario, Canada. It is amazing the ability she has to ask questions and assess my progress over the phone. 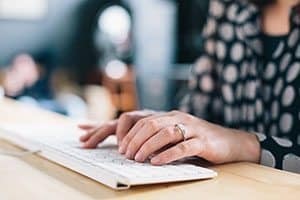 As a caregiver for my husband with Alzheimer’s and a consultant in the financial industry, I live with a constant level of stress. Often I had low energy and knowing that I was overweight too, I desired to be fit and healthy so that I could care for those who needed me most. It has been a great pleasure to work with Wendy Ida over the past year. When I met her, I KNEW she was the one that could help me. 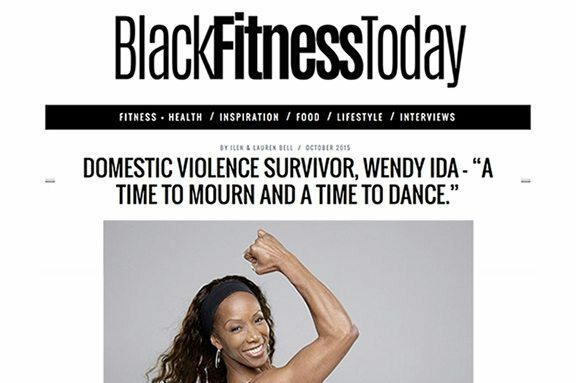 I’M IN BLACK FITNESS TODAY MAGAZINE! BFT: If you could talk to Wendy of the past during the times she wept, what would you tell her? “This question makes me cry even now because it goes deep. This has actually been a sore spot I had been struggling to overcome for years because there is still that vulnerable piece of me that visits me every now and again – mostly in my dreams or should I say nightmares. I confess up until just a few months ago I was constantly looking back and asking myself why did I let it happen or why did I live like that for so many years. Why? Why? Why? I would beat myself up with the whys. It took hearing some wise words from a psychologist that Oprah interviewed to help me see the light and get a little more resolve on these issues. In several ways I have gone to that place in my spirit and soul and talked to that incredibly scared little girl, Wendy from my past. I say to her…click here to continue reading and see the full article. Wendy Ida Dances at The SLS Hotel in Beverly Hills for the benefit of ending the silence surrounding Domestic Violence. 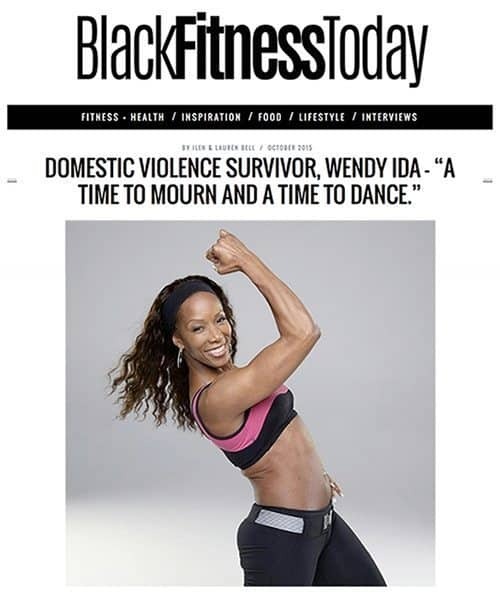 October is Domestic Violence Awareness month and many of you know that I am a DV survivor. This show was done to bring awareness to ending the silence surrounding Domestic Violence, and to Celebrate Life and those who have survived Domestic Violence. It is also meant to give strength and encouragement to those who are still victims, in hopes that they too will reach out real soon to Take Back their Life. That is the way to help end the violence! WON’T YOU STAND WITH US…PLEASE! ARE YOU MOVING RIGHT NOW? If you are not moving, I want you to join me this very moment. March away those pounds before they march away you! I’m serious! I’ve sent you a video to start you off! It’s easy, it’s fun and it’s a great way to get started. It’ll get your blood flowing and keep your mind and soul guarded. Who cares? I do! So let’s do this…together! IT’S TIME TO TAKE BACK YOUR LIFE! I got a question for you. Have you been satisfied with how things are going in your life? How about your state of health – satisfied? What’s your energy level like — low, medium or non-existent? Last question – Are you experiencing pain somewhere in your body that you have been living with that sometimes makes your attitude stink or sends you into a depressed state? Well I want you to know that life doesn’t have to stay that way. There are alternatives. You DO have options…and plenty of them. YOU CAN TAKE BACK YOUR LIFE RIGHT NOW! BUT the first thing you have to decide is…HOW BAD YOU WANT IT? If you have decided that you want it bad…I mean REALLY BAD… and you have put it at the top of your priority list, but you still don’t know how to get started back up again or you lack the motivation to do so, contact me so I can share some tools with you that will have you back up on your feet again and smiling from ear to ear! I’ve been there and done that so I understand how it feels to be stuck. And I just want to show you how to move onward and upward with a few easy tricks I have up my sleeve. I want to show you how, regardless of age or what your past looks like, your life can be better. Now I won’t lie and say it’s always easy, or things will change for you overnight. But…what I am saying is IT’S TOTALLY POSSIBLE with the adjustments I will show you that will make all the difference in the world. They have worked for me and I know they can work for you too! NOT AGE, NOT THE PAST, NOT NOTHING! YOU CAN DO IT! Book a consultation with me today! Everybody knows when it comes to health and wellness you can count on me to give it to you straight. No beating around the bush, no sugar coating, nothing but the truth! That’s how I show love. It’s only because I want you to be your best self and I want you to live those goals and dreams some of you have told me about. Keep in mind however, that it doesn’t mean you can’t have fun too. 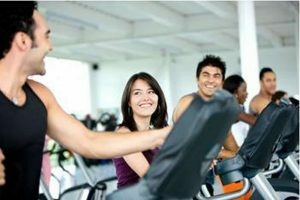 In fact, studies show that those who are having fun when exercising do it longer, more often and enjoy the many health and body benefits that come along with it. That being said… I had to get in on the latest dance craze! 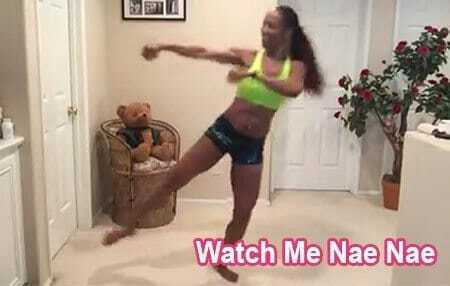 The “Watch me Nae Nae” song and dance. Everybody’s gone wild! That includes me too. Buck Wild! And since I love dance as part of my cardio…Just had to do it! C’mon and join me in my video version. It’s great cardio! Are you pulling your hair out because it’s been difficult to shed the pounds? Do you think you’ve tried everything but still your weight just yo-yo’s and boomerangs back to where it started? Well there may be good reason for it. And the culprit could be right in front of your face. So often people feel losing weight is too complicated to figure out and/or achieve because there are so many hidden things that keep them in the dark. They ultimately convince themselves that weight loss is not for them or not possible after a certain age. The truth is, there ARE many hidden things you may not know that make it difficult to lose weight, but there are also some very common and often overlooked habits many people have that add huge calories back onto you. So why not start there chipping away the pounds where it is so obvious. I have a long list of things I could rattle off, but let me cut to the chase and just tell you what my 3 biggest calorie hoarders are because you could be doing some of them right now! Alcohol – People drink socially, while entertaining, as a nightcap to help them settle down at the end of the day or even out of habit. This is a huge calorie mogul. One often forgets or doesn’t realize how much they have even consumed when they are having a good time or caught up in meaningful conversation. It easily packs on the pounds and without thinking you can pack on thousands of calories in just a few hours. There is something to be said about very moderate wine consumption versus the weekend “binge” model of drinking that often dominates Friday happy hours nationwide. Instead, try replacing the alcohol with Perrier water that has a fizz to it and add lemon, lime or other fancy fruits to the side of your glass. Coffee – OMG! Now of course we are not talking about a regular cup. No! I am talking about the Starbucks kind of coffee. They really started the big boom of the fancy calorie laden coffee. There are zillions of calories in one of those mocha-latte-caramel-whipped-cream-venti-crazyccino things. Don’t get caught up in the fancy names, flavors and fancy cups. Instead, ditch the calorie-filled, whipped cream fancy coffee, (that I call a dessert) and ditch the Venti cup too. Have an average size cup, sip slowly and hold the cream and extra additives. Soda – Is just bad for your body all the way around. It’s used to destroy battery acid on your car for one thing. – If that’s true then what is it doing to your body? Hmmm… It also dumps tons of sugar into your system and promotes weight gain around your middle. Instead, replace soda with some iced tea. Eliminating soda is not only a great way to lose weight but also it will begin reducing the size of your stomach. So just begin working on these three things to give yourself a running start. If you are consuming any of these on a regular basis reduce the amount you take in by fifty percent and move on to having them only once a week if you must have them at all. On the other hand, continue your workouts but… remember to make it all work, you have to go beyond the cardio and weight training. If you have ever seen a person or you are that person (you may even be a group exercise instructor) who works out hard but the weight doesn’t change, it’s because of your lifestyle and nutrition habits. EVERYTHING has to be in alignment at the same time or it doesn’t work. Otherwise your hard work will go unnoticed. Why? Because…YOU CAN’T OUT TRAIN A BAD DIET! This weekend’s competition was amazing! Thank you to all my supporters who came out. 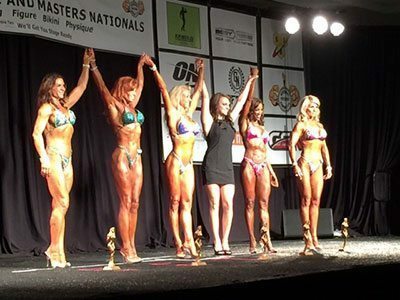 This was a huge National Competition and it has grown immensely in the three years since I last competed, but at 63 I still pulled out 2nd place at this huge event. It has undoubtedly inspired me to keep going, work harder — and be stronger — to be an even better me! I may not get first every time, but every time I learn something new, grow as an individual and I am happy with how far I’ve come. My message to YOU is… Believe you can achieve your goals and capture your dreams if you strive to be better no matter what your age, what problems you’ve faced or what obstacles stand in your way. Dare to risk that which you feel impossible and be rewarded handsomely! Whether you are over 40 or under, on average you are bound to put on the pounds due to the overabundance of processed foods and fast foods that make it easy for most people to gain weight these days. Unhealthy food choices and lack of exercise further complicate the process. After 40 many other things (such as hormones, etc.) unique to the aging process contribute to weight gain and is the root cause of most women’s frustration about the weight loss process. The average American still lives a very sedentary lifestyle and as a result carries around poor body image and low self-esteem because of it. Gaining weight is a process that happens over a gradual amount of time so it is no secret that it takes time to lose it as well. Understanding the process is important for your success. Understanding how to begin your journey is also important. So let me help you with that. Keep in mind however, that since everyone has a different lifestyle and body makeup, you may need to know more specific information as time goes on to help you progress to the next level. If you are looking to make a long-term change in your life I recommend that you begin your journey with these five basic guidelines to get on the right track. A reasonable approach seeks to lose a steady amount of weight over a gradual amount of time. In this way the body is able to maintain health and slowly use its stored fuel without feeling like it is being starved. * And Remember slow steady progress is the way to permanent weight loss and a healthy body. 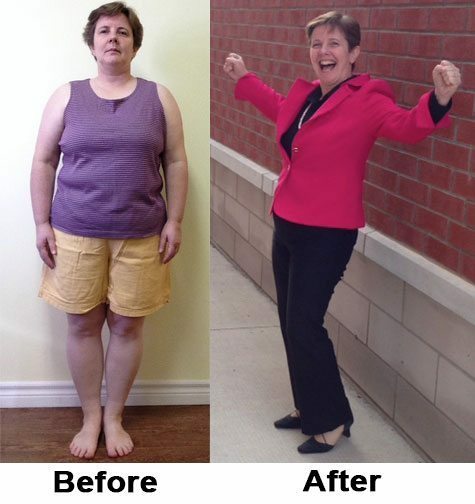 Do you have a weight loss story? If so, I want to hear about it! Did you miss my live interview on San Diego Living? Don’t worry; you can view it now below! Try out the combo move that Marc and I did. It’s four moves in one. It will test your endurance; work your upper body, your lower body, and your core. a. You’re going to squat, come up, jump left, jump right and shoulder press. That counts as 1 rep. Do 10 reps.
b. Go into pushup position with weights in hand and alternate doing a right arm row, left arm row and a pushup. That is 1 rep. Do 10 reps.
Now just repeat (a & b) on the other side by jumping right, then jump left with shoulder press and so on. That counts as 1 set. Work up to doing three sets. If you are a beginner, start with only one move and then move on but finish strong. Overall, just have fun with it! That’s the key! That’s what I do! If you have any questions, don’t hesitate to get in touch with me! You know people always tell me that I inspire them. That’s great and I love it. It’s a part of my mission, my purpose and who I am. 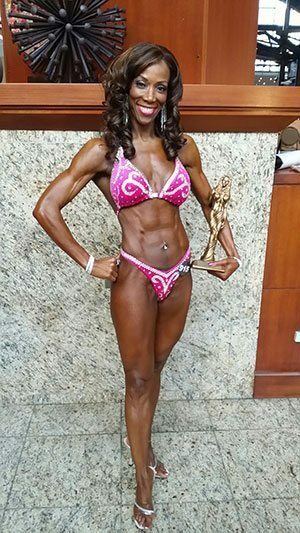 Perhaps the best inspiration to get fit and stay fit is seeing the women who are accomplishing their goals! But, it doesn’t matter whether it is something they saw me do, heard me say or read about, the fact is that they have been moved and awakened in some way to do more or be more in their life. When that happens you have to pay attention and follow that up. I believe nothing happens by mistake and everything happens for a reason even though we may not always understand it at the time. In other words a beautiful gift doesn’t always arrive in the way you would expect it, but if you are open to the possibilities, if you are present and if you have a little patience you will hear the message and follow that lead. The intention is to give you some tools to work with and help you understand that you are capable of being more then you already are and that you can free your mind of any perceived limitations. If you have been inspired by me or anyone else, it’s a wake up call for you to take another step towards improving your life. That is my wish for you! Shift into 2nd gear immediately by taking some action to reach your goals and make some things actually change. Don’t sit back and think about it any longer. Finally get your health, your body and your life in order. If you can’t do it alone, never be afraid to ask for help or get support. Sometimes that’s all it takes. You know what? I am over the moon when I see the magic happen for you as it did for me. In other words I get really excited when you manage to accomplish a wealth of happiness for yourself through reaching your mind, body and spirit goals. Join that spin class, learn something new or follow up on getting that degree you’ve always wanted. Don’t be afraid to cease running in those old familiar circles and doing the same things over and over again. Seek support, ask for help or hire a professional to help you get to where you want to go. When was the last time you took it to the next level after being inspired? DID I SEE YOU AT THE GYM LAST WEEKEND? Hope you had a great Memorial Day weekend! I noticed there was something different and really magical for me this particular holiday more than other Memorial day weekends and it made me smile. It all started as I tried to find a park on my way to the gym. 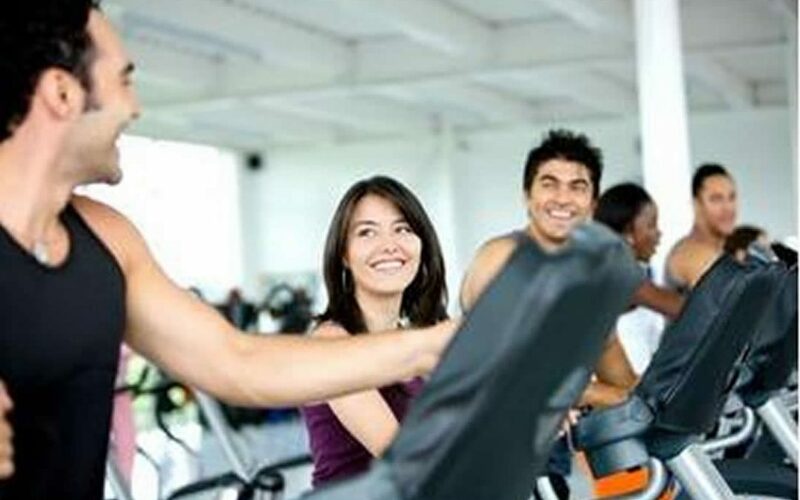 When I entered the gym the activity was electric and full of life and bodies. Not only that, but you could feel the positive attitudes, happy laughter and absence of stress on peoples face. Zumba classes were filled to capacity, cardio machines all busy and weights were a popp’in. It was totally awesome! I mean it’s so nice to feel the positive energy flowing like that from people all striving for the same thing – to achieve their best bodies, best health and best life. I know, I know what you are going to say. Well of course people were in the gym because lots of folks don’t have to work that day. Well let’s look at the bright side of it. They could have been somewhere else on their day off doing much worse things. So it’s a great start to making changes in your life that really count. My mission would be to show them how to hang in there and continue this behavior long after going back to work. But the simple fact that people choose to come to the gym on their off day is a good thing. I’m just giving credit where it is due. It’s become clear to me that more people then ever before are sick and freaking tired of feeling bad, being invisible and feeling like life and their dreams as a result is passing them by. Some are doing something about it and others don’t know what to do about it so they sit and ponder. I say with love to those people who ponder. Don’t create more anxiety and depression for yourself by sitting on your hands because it won’t go away unless you stand up, take charge and make significant changes. On the other hand, what I do know for sure is that it is difficult for many people to get up and take charge on their own and stay at it when emotional needs, stress and lifestyle have got you down. If you are shut down and don’t know what to do next get the support you need to succeed. Seek out someone you trust that can get you the right information, keep you motivated, hold your hand and keep you accountable to insure you make long-term lifestyle changes. The bottom line is that you CAN feel better, live longer, have the body you want and make a difference in the world. You DON’T have to always be in pain, feel sick or slow down because you’re past the age of 40. Age is not a factor or an excuse! You have HUGE control over your situation. You just have to know how to use it. Get real and get rid of the “I want it now mentality.” It’s never going to happen for you otherwise. Any healthy and significant changes take time and patience. Develop an operating system. Pick which days of the week and optimal times you will workout each week on your calendar. Label it something like an important meeting with yourself. 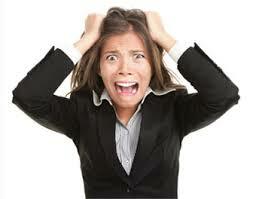 If you really want to get this system down start with only one or two days so its not stressful and grow from there. Find your best source of accountability. This is key because most people fall off the wagon right here. Find someone who not only can help you get going, but stay going until you understand how your body works. Get some basics as well as learn how the mind, body and nutrition work together. It could be a buddy or family member to get you started, but its also important to find a trusted mentor, coach or fitness professional to guide you to your goal for the long haul. Have you found the guidance, help or support you need to succeed yet?